Culture Archives - Page 2 of 4 - Powerhouse Talent Inc.
3 min read This story originally appeared on Personal Branding Blog Having a reputable employer brand is a must for an organization’s strategy because it helps companies recruit better candidates, reduce hiring and marketing costs, and improve productivity. Therefore, for organizations that are still in doubt about investing in employer branding, here’s why it’s so important. Employer Branding (EB) is both the art and the science of employee experience storytelling. It’s the organizational identity related to the employee experience. It’s the emotional response to what it feels like to work at an organization. According to LinkedIn, 72% of recruiting leaders worldwide agree that employer branding has a significant impact on hiring. It’s no wonder why more and more organizations are investing in a comprehensive employer brand strategy. 1) Look in the mirror – It’s important to gain a strong understanding of who you are as an employer and your market position. It’s time to stop trying to be someone else and begin finding the magic within your own organization. This is done through dedicated time discovering one’s Employee Value Proposition (EVP). This is the “why” around an organization. It’s what attracts and retains top talent and an organization’s promise to its people. 2) Lose the glam in video content – There is a reason why candidates flock to employer review sites. They are trying to gain an understanding of the true employee experience. But often employer review sites are also job portals. This means reviews in those sites may not be a comprehensive sample of the employee population, but rather those seeking a job change. Effective EB helps share stories related to the employee experience allowing candidates to gain a glimpse into the real organizational culture. This helps round out content so that candidates also hear from employees who are happily employed at the organization. This is not to be confused with creating a perfected image of the employee experience, but rather providing more of a balanced window into the culture. This is where it is less about production quality and more about authenticity. While high quality professionally produced video content may look great, it can erode brand trust if overly produced. 2018 is about raw and real video. We are talking vlogs and selfie style moment capturing created by employees. Talent attraction and HR can certainly support the mission, but the true stars are the employees. Character and authenticity trump polish. 3) But first a selfie! – It doesn’t need to be a selfie per se but scrap the stock images. Nothing is worse than seeing a career site where if you removed the company logo, the reader would have no idea which company it was. Hire a local photographer and capture the fun, silly, and human side of your business. Select a photographer who is not a “portrait studio” shutterbug. Hire an artist and give them the creative freedom to wow you. At Powerhouse Talent, we like to share the employer brand strategy and creative vision with our photographer and let them go wild. 4) Power to the people – Employee generated content and employee advocacy are hugely important not just for credibility and brand trust, but also for building employee pride. Open your blogs and vlogs up to everyone. Talent Attraction can curate content to ensure it is appropriate but empowering the voice of your team has never been more important. 5) Rolling social and feed takeovers – There is a shift occurring where organizations with strong employer brand maturity are passing the baton to their employees. Social feeds are being run as a collective force versus a corporate function. Employees are showing “a day in the life” not in an over-produced PR campaign video, but rather through platforms like Instagram, Facebook, and Snapchat, etc. We are not learning solely about someone’s day to day job, but we are meeting their dog on their early morning walk, grabbing coffee with them on their way into the office, and hitting up a meeting with them. They show the world the people behind the logo. 6) It’s like the Hokey Pokey – You put you whole self in, not just your work self. Work/life integration is the real work/life balance. Modern employers are embracing flexibility and agile collaboration to help their employees achieve both their personal and professional goals. This integration will continue to play a strong role in EB storytelling practices in 2018. 7) Be purposefully purposeful – Employer branding content should be focused around the highest possible good an employee experience can provide. This can manifest in a purpose-driven mission, employee creative freedom, or self exploration. Purpose matters! Author Salim Ismail in his book Exponential Organizations describes a common characteristic in exponential organizations as being the notion of having a “massive transformative purpose”. The world-class talent community craves so much more than simply impacting to the bottom line. EB storytelling will dig deep in 2018 and find its massive transformative purpose. This may be innovation, reimagining an industry, creating social good, and/or skill enrichment. 8) It’s game day! – Gamification is a great way to engage talent high up in the recruitment funnel. If you are not familiar with the recruitment funnel, click here. Gamification can be used via formalized games that interest a passive candidate and prompt them to solve challenges and puzzles, participate in hackathons, etc. In the process, they get to “know, like, and trust” the organization. This helps build awareness and allows talent to descend lower in the recruitment funnel. Organizations also solve real life problems via gamification and crowd sourcing solutions by using money and prizes. This not only helps advance business strategy, but also builds awareness for passive talent. When the time is right and passive candidates become active, there is greater depth to the relationship versus simply viewing a job posting. 9) A landing page is all the rage! – Landing or “squeeze pages”, are not new concepts in digital marketing. These tools can be excellent employer brand building mechanisms. If you are not familiar with the concept of a squeeze page, you can check out our ERE article here. These help socialize your employer brand and EVP with passive talent. Perhaps an industry white paper or webinar led talent to this content locked behind a landing page. From there, the candidate opts in by sharing their email and first name. They then gain immediate access to the desired content. This is your best content, your thought leaders in action. Prospective talent gains instant access to this information, as well as gaining exposure to the incredible talent within the walls of the organization. This further builds the ever-sought after “know, like, and trust”, thus allowing talent to descend further in the recruitment funnel. Once on the email list, it’s all about nurturing. Read more on this topic here. This should not be confused with a job alert, but rather a relationship and brand building opportunity. There are many more tips and tactics related to recruitment advertising such as programmatic ads, high precision targeting and retargeting, and more, but our focus for this article is employer brand building. 10) Try before you buy – A big focus for 2018 is a more captivating candidate experience that enhances the employer brand. This may be in-person or even via virtual reality (VR). Candidate experience optimization continues to be very important. Organizations are reimagining ways to engage talent to showcase their employer brand during the candidate journey. For example, this may mean inviting talent into the workplace for a day of exploration beyond a standard interview. This may include peer lunches, interesting skill challenges, or casual tours of the facility and neighbourhood. Organizations are also exploring VR to build immersive candidate experiences that more realistically present the role and the culture, as well as use that same VR as an assessment tool. Think of it like home staging. It’s about helping talent envision themselves as part of the team as they embark on the candidate journey. Only one person will get the job, but a human, interesting, and comfortable “interview” experience will not soon be forgotten. This not only enhances an employer brand, but also a consumer brand. 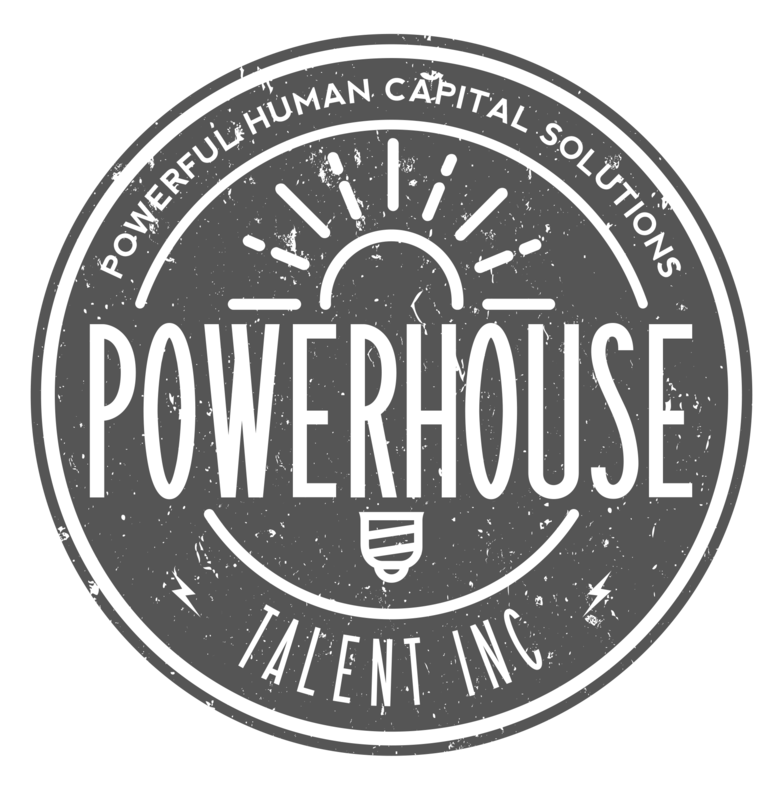 There is a reason our branded hashtag at Powerhouse Talent is #HumanBeforeResources. We are people before an employee number. A career should be more than a job you clock in and out of. We believe it should be a community you join, where a full life is enriched. Employer branding efforts can be a process of organizational self-discovery, change for betterment, and a transformation to a new level of engagement. It all starts with understanding your “why” and then trusting your people to help share the story. After all, if we cannot trust good judgement for a blog post or a selfie, why are they part of the business? This is the difference between a recruitment marketing campaign and a true cultural metamorphosis via the power of an employer brand. Employer Branding just got easier! Learn about The Employer Branding Co-Operative, our revolutionary new program helping organizations and budgets big and small amp up their EB game! It’s time to POWER UP! Check out our employer branding programs here. If there’s one thing that says friendly, inviting and energizing it’s the color hot pink! Lyft’s signature color radiates not only it’s company’s values – Make It Happen, Uplift Others, Create Fearlessly, Be Yourself – but an inclusiveness that reaches far beyond a quick ride. You have an opportunity to shape your employer brand and connect with the ideal employees that fit your culture and your growth goals. Demand for technical skills like big data analysis and coding is exploding, driven by rapid advances in AI and the need to make sense of the vast quantities of data generated today. But for job-seekers that lack these heavily technical skills, don’t despair: Jobs that rely on “soft” people skills like communication, empathy, and interpersonal finesse are also witnessing explosive growth, according to new research by LinkedIn. Welcome to the exciting world of building an employer brand! If you are just beginning on your EB journey, let’s lay a solid foundation and start with the basics. So what is an employer brand anyways? An employer brand is the organizational identity related to the employee experience. It is what you are known for as an employer. While this quote is absolutely true, an organization continues to have the ability to shape its brand. Brand is built through a variety of tools, stories, and experiences. The practice of employer brand management is the art and science of helping to share an organization’s story and shape its reputation. The first step in employer brand management is getting at the helm. Brand or be branded! Gone are the days when employer branding was optional. Today, 59% of organizations are investing more in their employer brand (LinkedIn). This is because employer branding is more than a talent attraction tool that helps create a pull strategy. An employer brand can also unite an organization. So how do you get started in employer branding? Understand your business objectives. Where are you going as an organization? What are your critical talent populations? This step is fundamental in creating a brand that will hit the mark and attract the talent that the organization requires now, as well as in the future. The practice of employer branding is a strategic endeavour. Plant the seeds now for the harvest your organization will need in the future. Understand your employee value proposition. Who are you as an employer? What are the critical attraction and retention drivers for your talent population? This is discovered through your people. Talk to talent you wish you could clone in order to find the magic in your organization. Determine your brand personality, visual identity, market positioning, key messages, etc. A brand matures through the stories we share and the experiences we create. Consistency creates brand trust. Once you determine your visual identity, brand personality, and key messages, it is important to train your ambassadors. There is no point in investing time, money, and energy in brand management only to have a hiring manager erode it through a poor candidate experience or inconsistent messaging. Train your team to deliver the brand experience. Get your employees involved! At Powerhouse Talent, our Brand Foundation Program is as much an exercise in employee engagement and organizational self-discovery, as it is in employer branding. Making this a top down exercise will not deliver the desired outcome. Having employees aware and participating at every stage helps with authenticity and employee advocacy. Select ideal channels for your target talent population. You don’t need to be everywhere. Be where it matters and consistently show up. Channel selection is critical. Use real images. Sorry stock image lovers, but if you are looking for authenticity and to ignite employee pride, glossy stock images will not do your brand justice. Get your employees involved! Capture the real you! Remember that employer branding is a journey. This is crawl, walk, and run! Through consistent steps, your team will be EB rock stars soon enough! Looking for more employer branding help. We have tools, programs, and resources to help you get your EB game on. Give us a shout today. Have you ever wondered how to build an epic careers site for your company? For those who prefer to watch over read, we have put together our top career site tips in 3 videos. You can read the article here. Wonder no longer and check out this video! Learn more about Powerhouse Talent’s full-service branding engagements and our POWER UP Brand Accelerator here. Have you been thinking about investing time and energy in your employer brand but don’t know where to start? Check out our LAND YOUR BRAND- Employer Branding Training & Blueprint here.